The African Union (AU) has often used mediation as one of its key approaches in its efforts in conflict prevention. As a result, mediation has become a flagship initiative of the organisation, and is undertaken by various actors within the AU. 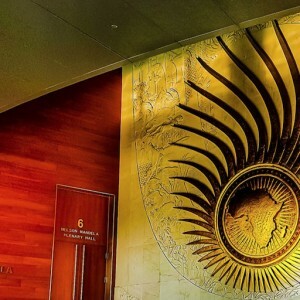 In order to become more effective, the AU now needs to clarify its approaches, roles and responsibilities. Gustavo de Carvalho joined the ISS in 2014 as a senior researcher in the Peace Operations and Peacebuilding programme in Pretoria. Before joining the ISS, he worked as a coordinator at the African Centre for the Constructive Resolution of Disputes in Durban, and as a researcher at Global Witness in London. De Carvalho is experienced in capacity development, policy support and peace and security research in Africa. He has a master’s degree in African studies from the University of Oxford and a bachelor’s in international relations from the University of Brasília.